The Lincoln Motor Company announced today a multi-year collaboration with Academy Award™-winner Matthew McConaughey, who will act as a storyteller in a series of upcoming TV and digital campaigns starting with the first-ever 2015 Lincoln MKC small premium utility. In a nod to McConaughey’s storytelling talents, Lincoln and director Nicolas Winding Refn (“Drive”) created a storyline for him around the MKC. 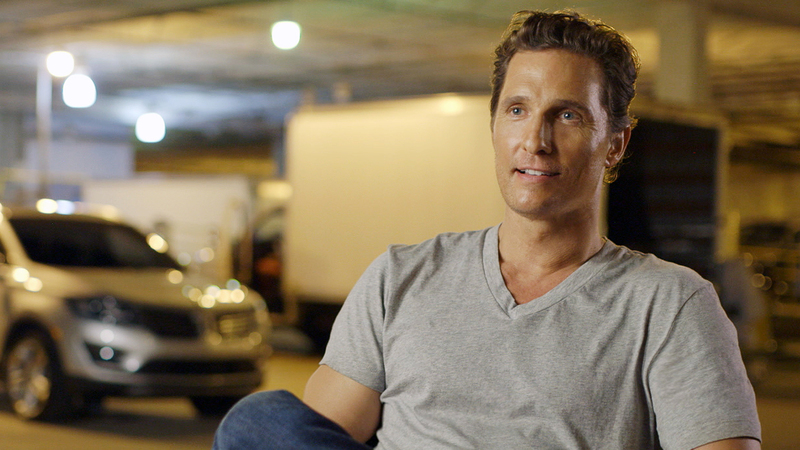 In the spots, McConaughey invites viewers to experience the vehicle through unscripted moments in the commercial. Lincoln started a new journey in 2012, re-launching the brand and outlining a plan to introduce four all-new products in four years. Following the all-new MKZ midsize sedan is the MKC, a performance-minded, luxuriously crafted and technologically savvy vehicle. This small utility vehicle is a new addition for the brand; a brand focused on quality, compelling design and personal service. To test drive the all new MKC visit Lexington Park Lincoln! We are located at 21575 Great Mills Road, Lexington Park, MD 20653! Call us at 301-863-8111 or online at http://www.lexingtonparklincoln.com!